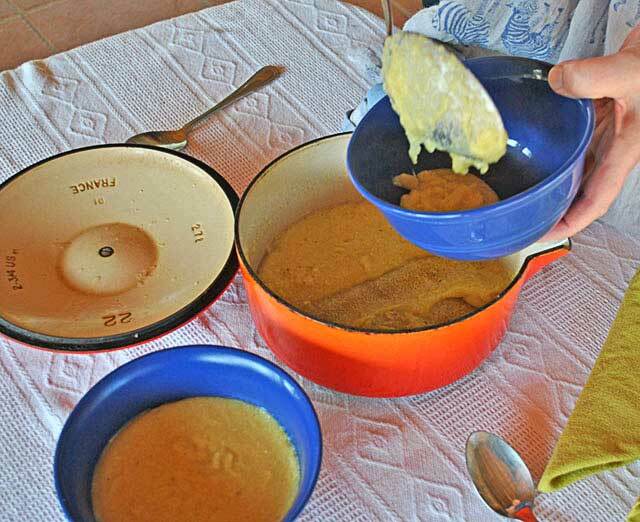 This mielie meal breakfast recipe is a response to a request from another, homesick South African ex-pat, marooned in the USA. There’s a lot of comfort to be had by preparing and eating some of our traditional foods even when we’re halfway across the world … Or, maybe because we’re halfway across the world! There wasn’t a lot of info available on the internet when we were in Scotland and I did some concerted experimentation with only my taste buds to guide me. Fortunately, Scotland isn’t short of resources or South African grocers. 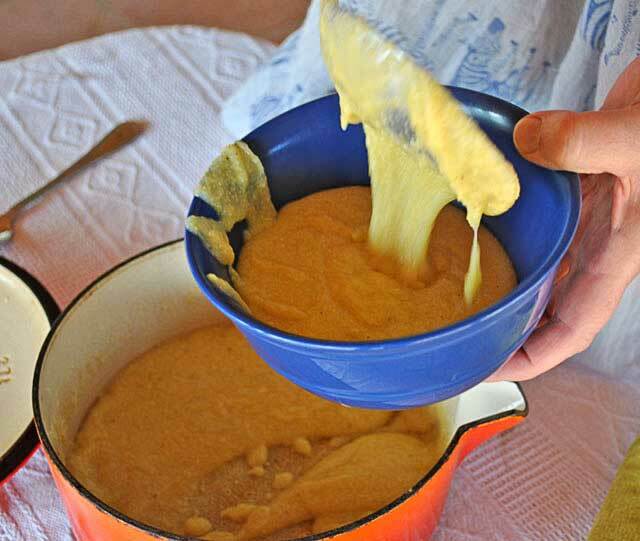 The biggest hurdle was finding mielie meal, that great SA staple made from white maize. 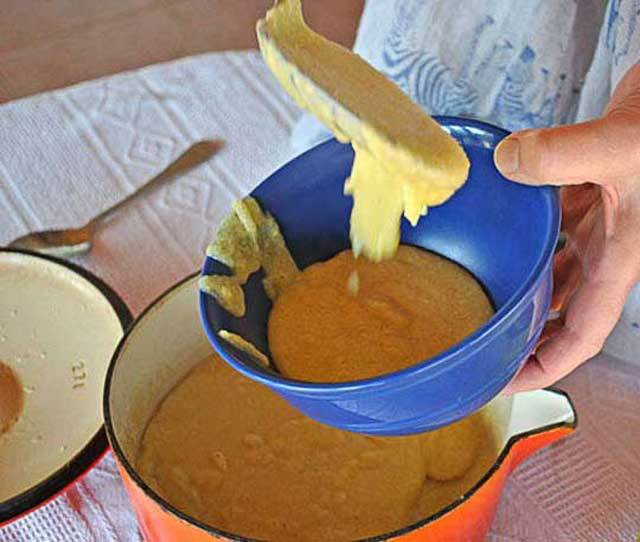 Sadly, our home-grown, mielie meal proved to be a disappointment – somewhere between our leaving for the UK and moving to Scotland, SA mielie meal morphed into a refined white stodge, bleached to within an inch of its life and genetically modified to include glyposphate. Thank you, Monsanto – said with complete and total sarcasm. 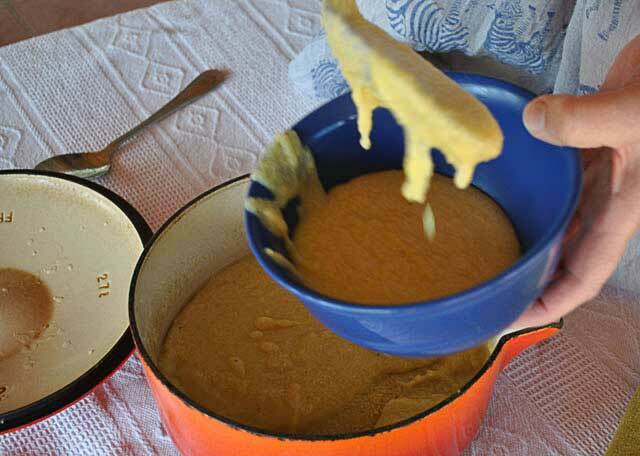 Now we’re SA based again and slap pap is our favorite breakfast – made with a stone-ground, non-GMO, organic mielie meal ordered from our friendly health food supplier at the other end of the country. If you’re in the US, UK or EU, SA grocers will have the regular maize meal like Iwisa or Impala brand (available at every supermarket in South Africa). It isn’t like it used to be! If you’d like something with a more authentic taste, a health food store may have organic mielie meal. 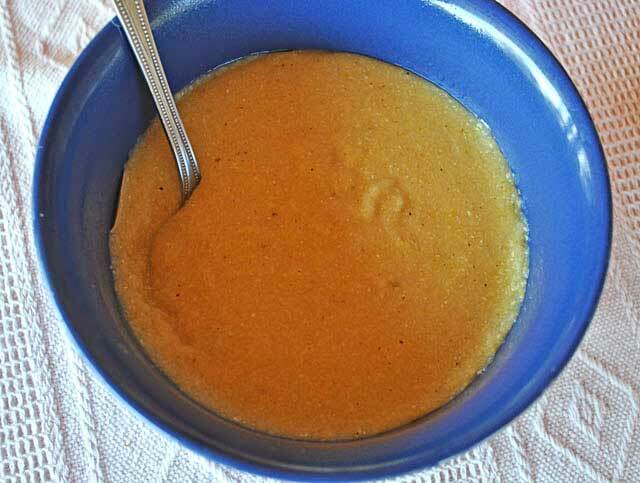 I have uses polenta maize in a pinch but occasionally you can find white, ground corn used by the Americans for grits or the paler yellow corn meal used for cornbread. Here’s my flop proof recipe for serving two hungry people. Put the 2 cups of water into a heavy bottomed pot, sprinkle in the salt and bring to the boil. 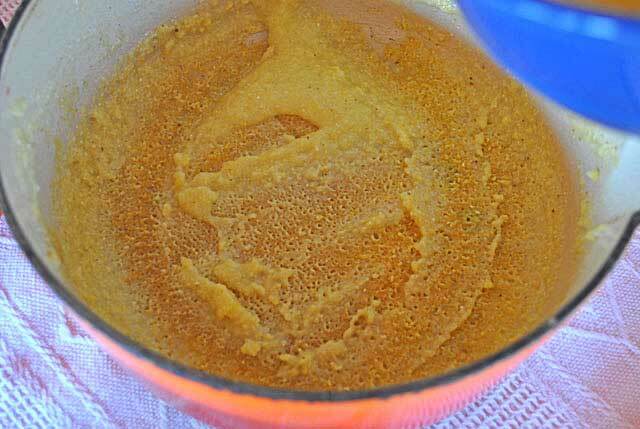 While you wait, mix the 1 cup of corn meal with the other 1 cup of water. 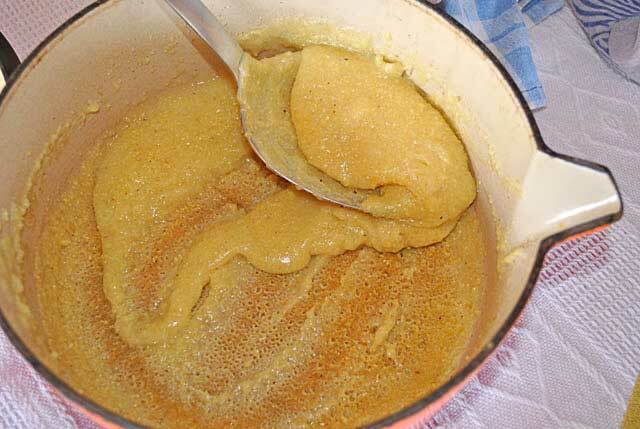 When the water in pot comes to the boil, give the mealie meal a quick stir and pour it into the boiling water while stirring with a wire whisk. Keep stirring with the whisk until it begins to bubble and thickens slightly. Cover with the lid and turn the heat right down, leaving the pot to simmer for at least an hour. After half an hour, give it another stir with the whisk, cover and leave it to finish cooking. Divide the pap between two bowls and serve with your favorite toppings – M has his with stevia and full cream milk. I like raw sugar and a pat of butter. Yum! 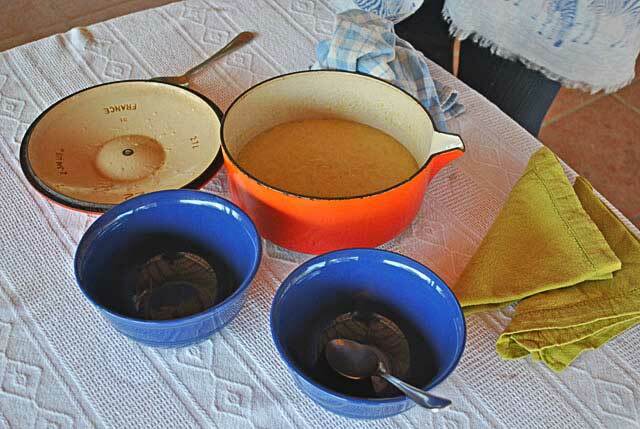 The pap will leave a crust on the bottom of the cooking pot – just pour in some boiling water in the pot– enough to cover the bottom, put on the lid and leave to stand. It will soften and you’ll be able to easily scrape it off. When made with – non-GMO – organic corn meal, this is a real tasty stick-to-your-ribs breakfast. Enjoy!